The Double is a short novella originally written by Fyodor Dostoevsky, first published in 1846. If the name sounds familiar, you’ve probably read Crime and Punishment, arguably one of his most popular works. If it doesn’t sound familiar, you aren’t alone: his writing style is notorious for being dense and tiresome to read, meaning you won’t find his works on any coffee tables. The novella was adapted into a movie of the same name, which was released in 2011 and stars Jesse Eisenberg. I actually saw the movie first, which inspired me to read the book, so I’ll be discussing them in that order. The first time I watched The Double, I thought it was complete nonsense. It was weird, the ending didn’t make any sense, and it was so boring that I almost fell asleep. I was disappointed, considering the concept looked interesting and it starred Jesse Eisenberg, who I’ve always loved in other movies. I wondered what I was missing; who would be pretentious enough to pretend that they liked it? Evidently it festered in my mind, because I ended up re-watching it over a year later when I saw it on Netflix. This time it was a completely different experience; I don’t know if maybe my tastes had changed, or if I was just paying more attention, but I absolutely loved it. It was entirely unique in every way; incredible acting, visually interesting scenes and filming, an absolutely gorgeous soundtrack which I highly recommend listening to, and an atmosphere that kept you on the edge of your seat. Out of these, I want to focus on the strange atmosphere that the film has, since I find that to be its most unique and defining element. Now if you’ve been reading my last few posts, you might have a feeling of where this is going: Surrealism. This movie is a prime example of Surrealism in film, and is a testament to the power of film as an art form. I recognize this film as surreal because it has the same atmosphere as any other surreal work of art: a dense fog, a feeling of semi-nostalgia and anxiety, and an unexplainable otherworldliness. This is developed in the movie mostly through the use of its color palette, which includes yellows, browns, beiges, and other grimy colors. It’s odd to say the least, and it makes this universe seem like some parallel universe where everything is drab and lifeless. Also contributing to this surreal atmosphere is the vagueness of the whole movie. I can’t really say what time period it takes place in, what the setting is, or what the main character does all day. Every place seems so disconnected, which is so contradictory to normal life. The closest thing to experiencing this is going to North Campus after 9pm on a weeknight and walking to a bus stop. The towering brick walls, strange architecture, and the complete emptiness of life is similar to some abandoned dystopian parallel world, much like the universe of The Double. 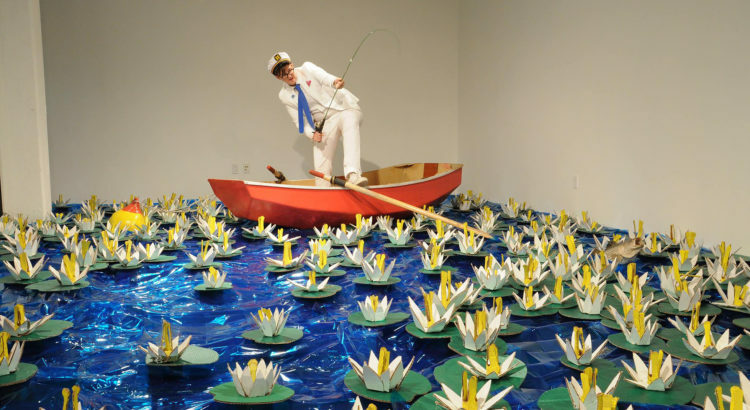 Another key element of the surreal atmosphere is obviously the story; the idea of the doppelganger, somebody who is identical to you in almost every way, induces anxiety in itself. Watching the main character Simon as he falls into madness at the hands of his doppelganger is terrifying, and it defines the universe of the movie as much stranger than ours. Finally, I think even the soundtrack contributes to this atmosphere, much more than your typical movie score. It’s mostly composed of string music and piano, with dark and heavy chords that create a tension throughout the film. Listening to the soundtrack by itself induces anxiety, and in the context of the film, it is the soundtrack of madness. Overall, this movie is a work of art in almost every way, and is fascinating to me as a lover of surrealist art. It’s just an unforgettable, personal experience that challenges what you think about traditional media. This brings us to the novella, which I read promptly after finding out that it inspired the movie. It was the first thing I ever read by Fyodor Dostoevsky, and I can definitely understand why people say his books are a challenge. After forcing my way through it however, I was glad I did: not only is it an incredibly well written story, it is a great companion to the movie. While they aren’t exactly identical, as they aren’t meant to be, reading the book further revealed the true genius of the movie. The movie perfectly matched the atmosphere of the book, so much that it’s eerie. Maybe I was influenced by watching the movie first, but the book is a work of surrealism itself: it has the same bizarre atmosphere, which is developed through the writing and the events of the story. The way Fyodor Dostoevsky writes is so dark and heavy that it creates the same feeling of anxiety and fear, which is absolutely fascinating. I highly recommend watching the movie and reading the book, although I don’t suggest any particular order. I’d love to hear other people’s thoughts on it to see if people see what I see, or if I just sound completely crazy. I love “The Wizard of Oz” and think it deserves to be considered a classic of American cinema. This week, one of my professors showed the ending of the film to my class to make a relevant point during lecture. Tears formed in the corners of my eyes, and I remembered how I actually did cry the first time I saw it. I’m not a big fan of fantasy, but the message that nothing can replace the ones you love is very moving. The way the lecture hall had people audibly sniffing after the clip ended let me know I wasn’t the only one that found the movie powerful. After the video ended, my professor addressed the class by saying that although the scene is “cheesy” it was still insightful for the purposes of studying witches. My mood soured when I heard her say that. “Cheesy”? 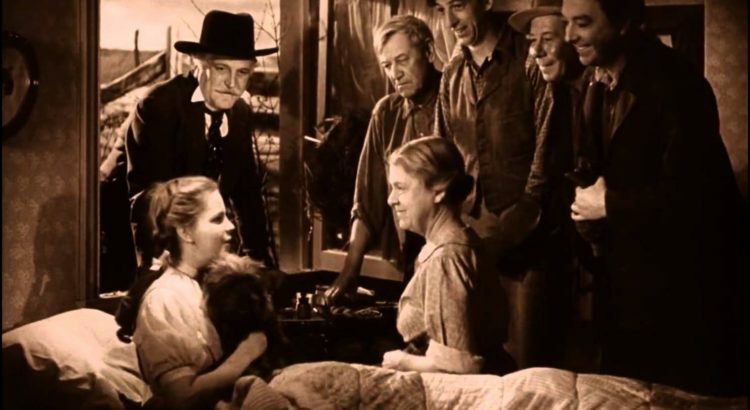 The fact that the movie came out in 1939 at the end of the Great Depression and the beginnings of World War II makes it unsurprising that it was a box office hit. In my English classes, I learn about how history provides relevant context to literature that allows the reader to understand texts more deeply. In therapy, I have learned that a useful coping mechanism when emotionally distraught is to pretend that you are somewhere far away physically from your problems so that you do not become so emotionally attached that you are incapable of working towards solving them. What better way for the people living through such brutal times to be given a glimmer of hope, than to be transported to a magical wonderland that shows there’s no better place to be than home, with their loved ones who make struggling in life worthwhile? is full of surreal imagery as Kyary dances around a psychedelic room fulled to the brim with cute junk and faceless backup dancers. It’s wacky and colorful and way over-the-top. If my professor was weirded out somehow by the ending of The Wizard of Oz, then I’m sure she would have a cow watching this. But I for one almost teared up when I realized the context that this wild music video was released in because at the end of the day it tried to inject life into desperate times full of death. Let the people struggling decide what’s too weird to appreciate. 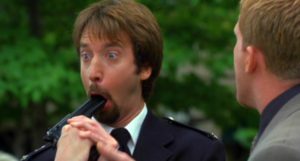 I grew up being exposed to gross-out comedies, so even though I can’t remember specific movie titles, the opening sequence to “Freddy Got Fingered” feels extremely familiar and tired. It’s almost laughable how lame the movie’s beginning is, and I was concerned this bad movie wasn’t going to reach a level where it was so bad it became good. I’m not surprised that there is debate over whether or not the movie is parody. However, I’m convinced this is intentionally left unanswered because the movie is satire. The man-child cartoonist called Gord who is unfortunately the protagonist of the film put my concerns to rest 30 minutes in, right when he begins to spread pain and suffering on a wider scale in his quest to have his cartoons adapted into a TV show. 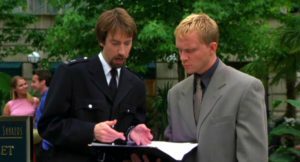 Gord (Tom Green) storms an animation studio by force, bypassing security and harassing a secretary in an effort to meet the TV executive who runs the company (Anthony Michael Hall). When informed that the executive is at lunch, the public nuisance goes to the restaurant and harasses diners until he finds the person able to turn his dream into a reality. While this is off-putting to Hall’s character at first, he immediately listens when Gord begins to sell his comics. Despite his generosity, the TV executive is not blind to how talentless Gord is. He tells the artist that while the art of the comics is good, the stories and humor behind them are awful and would never sell. This pushes Gord over the edge, making him pull out a gun and lament that his characters are losers so he is a loser. He threatens to kill himself right then and there, which is shocking and completely unexpected if not for how this situation would be played straight in a normal comedy movie with the hero getting the job and the girl at the end. It is extremely funny to me how the stepping stone of Gord’s career is when our protagonist declares he needs to die, because this is the most illustrative way possible for Tom Green to scream about how much he clearly hates gross-out comedy movies and explains why the 90 minute run-time is used to push tropes of the genre to their most grotesque and absurd limits in order to make a point. 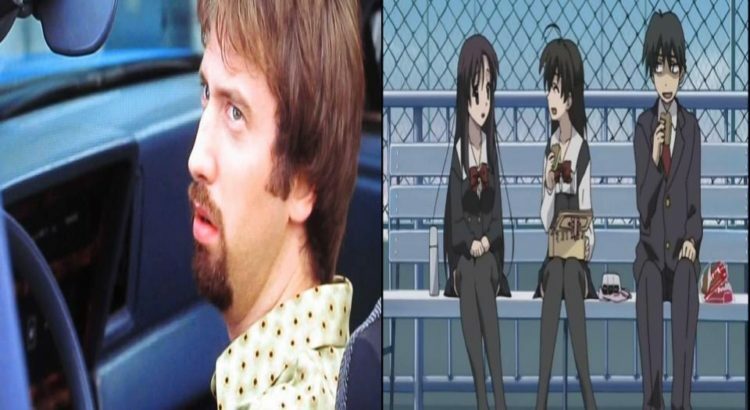 The infamy of “Freddy Got Fingered” reminds me of the reputation of “School Days”, an anime that I think wasn’t intentionally satire but ended up criticizing the short-comings of harem animes anyway. The formulaic show is based on a video game where a painfully average young man named Makoto suddenly finds himself becoming the most eligible bachelor in his high school after creating a love triangle. The video game has many endings determined by how well you navigate having multiple girlfriends, and the majority of the outcomes are good. 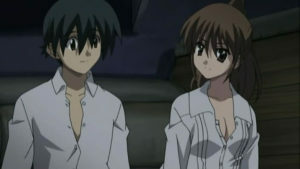 However, “School Days” is infamous for its few bad endings that depict the absolute worst possible consequences of someone playing with the affections of a group of people. The value of this criticism I think is highlighted in the anime when Makoto goes from being too shy to talk to an attractive girl in the first episode to having romantic encounters with three girls in one day by the end of the show. He is warned by his latest conquest, Otome, that problems will arise if the fact he is seeing several women at the same time becomes known. He tells her what he has already told his other girlfriends, that she is as responsible for the delicate situation as he is and that she should just let things happen. The anime adapts the worst possible endings of the game and illustrates that in real life it would take someone to be extremely narcissistic and emotionally abusive to sustain a harem like in anime. I think these two works were poorly received because fans of these comedy genres weren’t expecting the deconstruction of the tropes they have come to love. The shocking violence and overall bad taste is only believable as the work of professional writers if the intention is to show how ridiculous the cliches expected from viewers are. It is difficult to make a parody or satire of something, especially with film, without being mistaken for the real deal, but as someone who thinks they’re in on the joke I think I have the right to laugh along. I was surprised to learn that Hollywood loved Japanese horror films so much in the early 2000’s that it made America remakes of the most successful ones. I’ve seen “Ringu” and “Ju-On: the Grudge”, two of the most famous Japanese horror films here, and started thinking what about these movies could have captured American audiences so much. From the outset, it’s clear that Japanese horror loves a good villain, like Sadako and Toshio, the same way American horror does, like with Freddy Krueger and Jason Voorhees. All of these characters were born human but gained supernatural powers over time. Toshio from “The Grudge” and Jason Voorhees from “Friday the 13th” are more sympathetic villains because (spoilers) they were abused by their families before their death and want revenge for how they died, while Sadako from “Ringu” and Freddy Krueger from “A Nightmare on Elm Street” are scary from the start of the movie because unbeknownst to the viewer, they killed innocent people while alive before dying and taking on demonic powers that allow them to seek new victims in the afterlife. The motivations of these villains aren’t unfamiliar to American audiences. At the same time, I’m not surprised “Ringu” made Hollywood sit up and take notice. The movie blends supernatural horror and psychological thriller to weave a complex plot about Reiko, a journalist and single mother, on the hunt for the mysterious entity killing teenagers across Japan via VHS tape. Not only is the movie entertaining because the mysterious case keeps you guessing who is behind the murders, but it is innovative on an artistic level as well. The movie puts the literary archetype of the vengeful ghost from Japanese literature into a contemporary setting. This is represented by the ghost behind the murders adapting to modern technology in order to haunt more people. Released in 1998, the movie captures this unease with how past horrors will exist in society after the turn of the millennium, a concern that I’m sure is relatable to developed nations like America. Additionally, the film provides social commentary on the changing role of women in Japanese society by having Reiko neglect her son more and more as the case goes on while Sadako kills more and more people. It is a pessimistic movie in that it puts women attempting impossible “double shifts” as professionals and homemakers on the same footing as past horrors developing alongside society in the future. I can’t tell if the movie is sympathetic to Reiko’s struggles to be a good mom, but this parallel plot raises the stakes of an already horrible mystery. 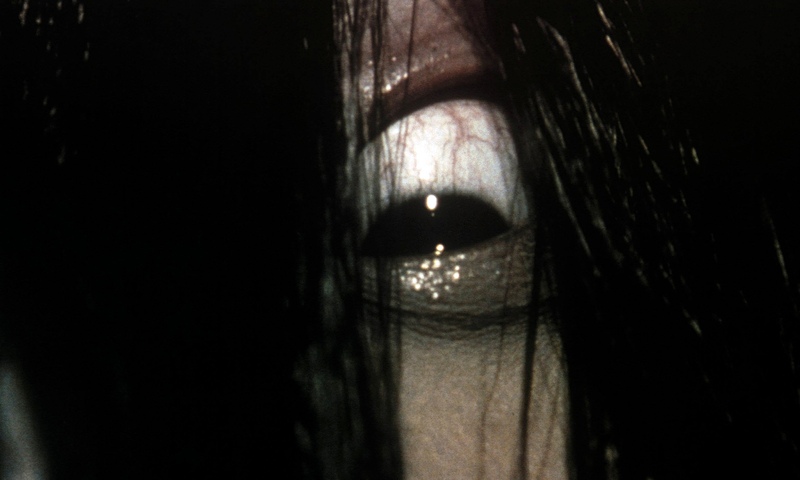 What I think cements “Ringu” as an instant classic is Sadako. She doesn’t have to appear much to make a grand entrance after seeing her infamous VHS tape and her increasing body count. The VHS tape almost looks like a bizarre art film but in reality has clues that let Reiko find Sadako, making the ghost’s capabilities and motivation unknown. The scene where Sadako finally reveals herself is horrifying because it juxtaposes the strange footage of her VHS tape with the deaths of her victims, suggesting she is in control of the afterlife in addition to her existence on Earth, letting her bend the rules dividing the present from the past and art from real life. She conveys her great power and anger without saying a word. By confirming Reiko’s worst fears of who could be killing without leaving a trace, the movie combines the best of psychological horror with the paranormal, an achievement that is essential viewing for any horror fan. Despite being about an actual assassin, “The Assassin” nearly put me to sleep. The film is based on a classical Chinese text from the 9th century titled “Nie Yianning”, a notable entry of Chinese fiction’s famed ancient martial artists, and is rendered beautifully with stunning cinematography and gripping premise. Yet its pace leaves a lot to be desired. The film stars Shu Qi (“Journey to the West”) as the titular assassin Nie Yinniang, who has been trained for years and has become a superb killer sent to murder corrupt government officials. Qi is badass and kind of terrifying in her unwavering resolve as the assassin, appearing just enough in action to illustrate her skills without getting too attached to believe she is a sympathetic character. Yinniang reaches her limit, however, when the next target she is sent to kill is the nun who raised her. She does not complete the task, and as punishment is sent to kill the governor of the far Weibo province, Tian Ji’an (Chang Chen, “Crouching Tiger, Hidden Dragon”). The plot development of the movie, while slow, still manages to establish the premise within the first 30 minutes, which kept my expectations high at the start. The catch? Tian Ji’an is her cousin who she had been arranged to marry. Drama of the stickiest order ensues as Nie Yinniang takes up her next mission. 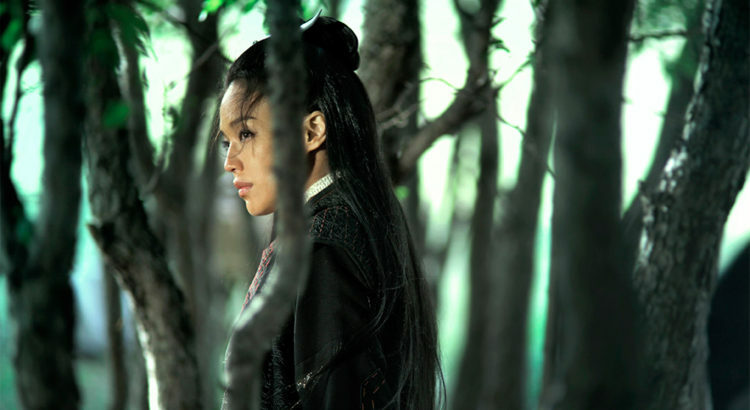 I can’t stress enough what a feast for the eyes “The Assassin” is. The cinematography of the Chinese landscapes are absolutely beautiful and breathtaking. The lighting is exquisite as well, making the gold of the rich main characters shine in a way that adds to the luxurious sets and costumes. The shots of the uninhabited mountains transports the viewer back in time, another stunning element paid careful attention to in order to bring to life this historical drama. Some of the visuals foreshadow the plot as well, like when a blood-red sky at sunset is reflected in a lake, contributing to the mise-en-scène as well. Unfortunately, the editing does not allow the screenplay to breath, making you feel every minute that passes by while watching this movie. There is far too much exposition, especially at the beginning where the assassin is given her orders to kill, only to then attempt to kill the following shot. Instead of feeling like a detailed chronicle of the assassin’s life, it often feels terribly redundant. Additionally, the shots themselves are way too long. Despite being a martial arts movie, the movie seems more preoccupied with the mundane aspects of daily life than the fighting itself. You literally watch people sit, eat and sleep while stuck with the same forlorn expression for the entire time, making you wait for any plot development (of which there is too little). This adds gravity to the characters, but in an unoriginal way as if they were all in a Western playing mysterious sheriffs who blew into town to restore law and order. To be sure, the editing wasn’t all bad. There was an effective switching from black and white to color in order differentiate the past in flashbacks from the present. But this does nothing to quicken the pace, making important developments feel understated and inconsequential, like when Governor Tian’s interesting origin story is delivered through a boring monologue. Overall, “The Assassin” is a solid piece of film that feels more like a recorded play than a movie. There is a limited number of sets that the camera stays stationary on the majority of the time as monologues and exposition are dished out like nobody’s business. If you love historical pieces, this will surely delight. But damn, is it boring.